As the manufacturer states, the Blue Force Gear Vickers Combat Applications Sling "has revolutionized the way we carry automatic rifles." 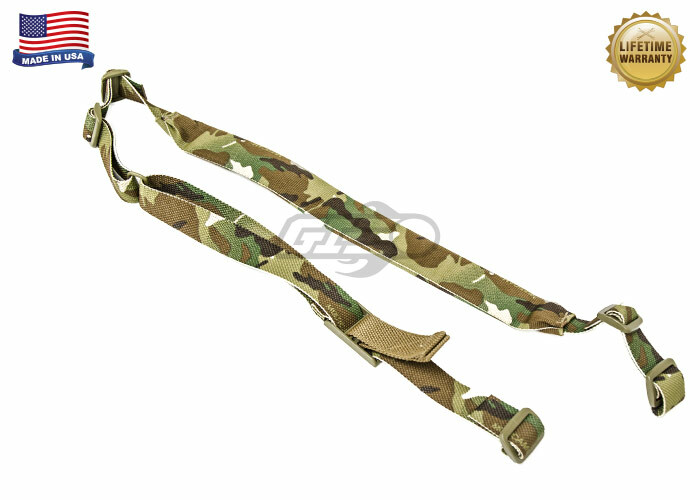 This sling is used by individuals throughout not only every branch of the U.S. military, but by those of foreign militaries as well, and is known around the world for it's superior functionality. It is designed to allow the user to quickly transition from carrying a slung rifle comfortably to combat ready, and features TEX 90 bonded nylon thread stitching, Invista Solution Dyed CORDURA webbing for low IR and comfort, ITW Acetal military grade plastic Hardware to significantly reduce noise and weight, and a differentiated adjuster pull tab for quick adjustment, even in the dark. All of these features paired together with it's proven combat history make the Blue Force Gear Vickers Combat Applications Sling arguably one of the best slings available today.